We want to wish all of our loyal Bingo Players a Happy Holidays. 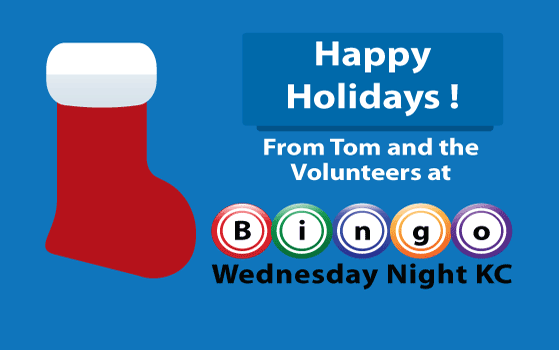 In order for our Bingo Players and Volunteers to spend their Christmas and New Years Eve with Families, we will temporarily change our normal Bingo date from Wednesday Night to Tuesday Night. Please mark in your calendar the following dates that Tom and the Home and School Volunteers will be hosting Bingo at Finnigan’s Hall. On both dates the doors to Finnigan’s Hall will be open at 4:30pm and Bingo will start at 6:45pm.